Most companies buy promotional products to market to prospects, clients and event attendees. In fact here at Brumley Printing, we provide thousands of promotional items for our customers. Whether you’re an advertising newbie or a seasoned marketer, you may look at all the various product choices and ask, “Well, how do I pick one? !” Luckily, the Advertising Specialty Institute (ASI) publishes a Global Ad Impressions Study regarding promotional products. In this article, we are going to break down some of the conclusions in the study regarding different promotional product categories. 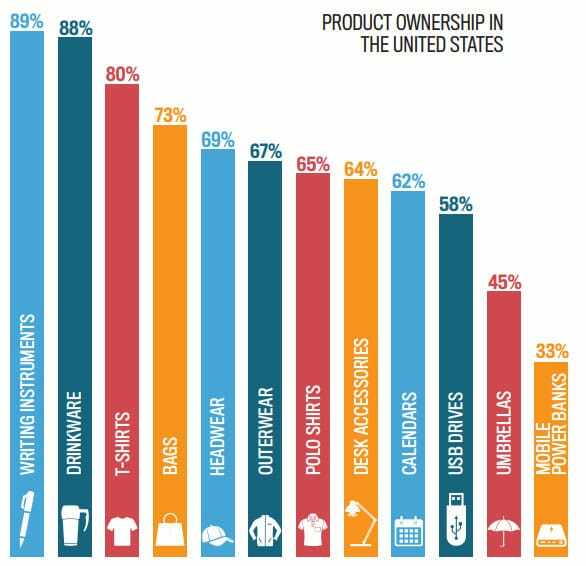 The study results just might help you choose a promotional product for your business needs. Note: For this study, impressions are calculated by multiplying the length of time owned by how many other people they come in contact with while using said product, by how often the product is used. The more a promotional product is used in public, the higher the number of impressions. 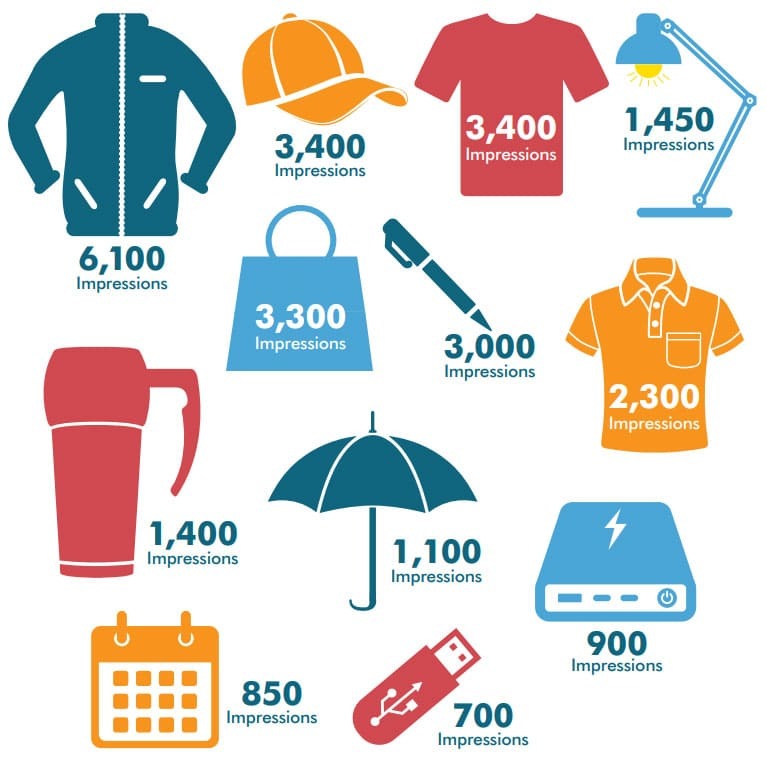 The statistics on impressions can help your company choose a promotional product and determine which promotional category will have the most impact and best reflect your brand to your target consumer audience. Promotional t-shirts generate 3,400 impressions over their lifetime, meaning a $7 t-shirt costs only 2/10 of a cent per impression. This promotional products research provides a huge amount of information for companies looking to advertise with promotional products. If you are interested in seeing the full study, visit https://media.asicentral.com/resources/Global-Ad-Impressions-Study.pdf. Did the study help you choose a promotional product for your next marketing effort? Which promotional product category did you select? If you are still unsure, the experts at Brumley Printing in the Greater Fort Worth area can help you choose a promotional product to build your brand. We offer high quality items in all promotional product categories. Call our office at (817) 336-5551, or visit our online store, to get started on your promotional product order today.